Kingdom Come: Deliverance (game, 2018). An action role-playing video game by Deep Silver/Warhorse Studios. Developed by Warhorse Studios, Deep Silver. Official Trailer. 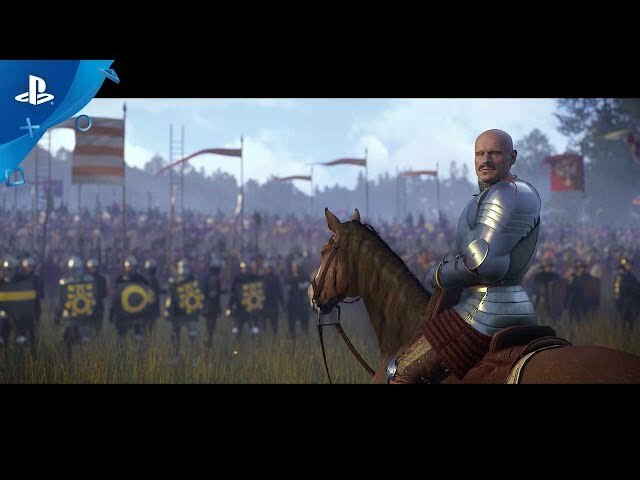 Kingdom Come: Deliverance is an action role-playing video game by Warhorse Studios and Deep Silver, developed by Warhorse Studios and Deep Silver. 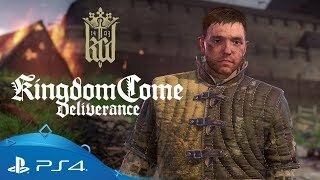 Kingdom Come: Deliverance | Launch Trailer | PS4. 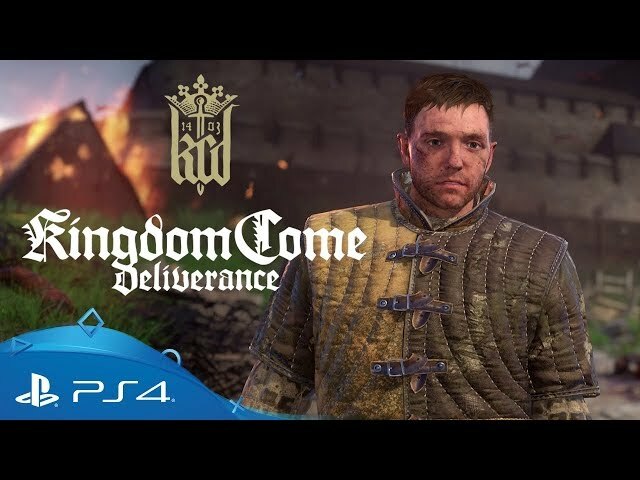 Kingdom Come: Deliverance takes place in the early 15th century, in the Kingdom of Bohemia, part of the Lands of the Bohemian Crown and the Holy Roman Empire in what is now the Czech Republic. The accessible area of the game is located in the region between Sasau and Rattay. Other real-world settlements and towns in the game include Stříbrná Skalice, Světlá nad Sázavou, Ledečko, Sázava Monastery, Talmberk Castle, Samopše, Úžice and Nový Dvůr. Before the events of the game, the Kingdom of Bohemia was ruled by Charles IV, Holy Roman Emperor, and it experienced a golden age under his reign. After Charles' death however, his son, Wenceslaus IV of Bohemia, took up the throne instead of his half-brother, Sigismund, King of Hungary and Croatia. Wenceslaus would prove himself to be an idle, useless ruler and nuisance to the Bohemian nobility who couldn't control him. In a daring move, with the help of the Bohemian nobles, Sigismund kidnaps and dethrones Wenceslaus and begins a brutal campaign to capture the Bohemian lands. In the silver mining town of Skalitz, young Henry is a simple peasant, living under his mother and his blacksmith father, Martin. After finishing some errands for his father, Henry joins him in completing a magnificent commissioned sword for King Wenceslaus' hetman, Sir Radzig Kobyla. While Henry wishes to explore and see life outside of the village, Martin insists that a quieter life is much safer than an adventurer's. Immediately after, an army of Cuman soldiers under Sigismund of Luxembourg's control attack and raid Skalitz, killing all who do not flee. Henry holds on to the sword and runs but later comes back for his mother and father, and witnesses their murder under Sigismund's crony, Sir Markvart von Aulitz. Henry flees to the safety of the castle, but is too late, and is forced to ride out to the nearest castle of Talmberg. 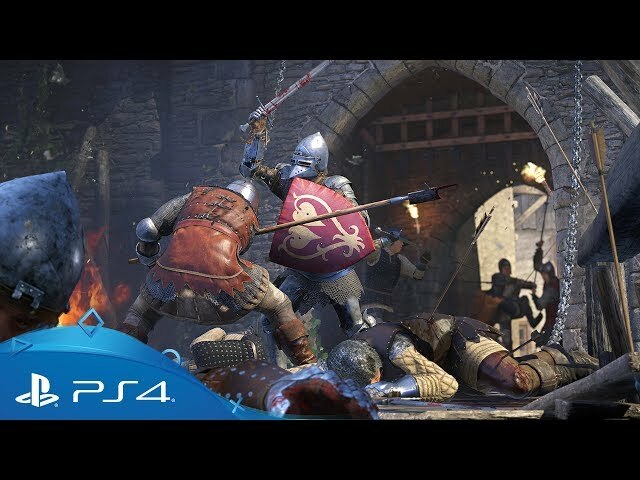 Kingdom Come: Deliverance is an action role-playing game set in an open world environment and played from a first-person perspective which utilizes a classless RPG system, allowing the player to customize their skills to take on roles such as a warrior, bard, thief or their hybrids. Abilities and stats grow depending on what the player does and says through branched dialogue trees. During conversations, the time a player takes to make a decision is limited and will have an effect on their relationships with others. Reputation is based on player choices and therefore can bring consequences. Kingdom Come: Deliverance was scheduled to be released by Deep Silver and Warhorse Studios on February 13, 2018. The game is made with CryEngine engine.